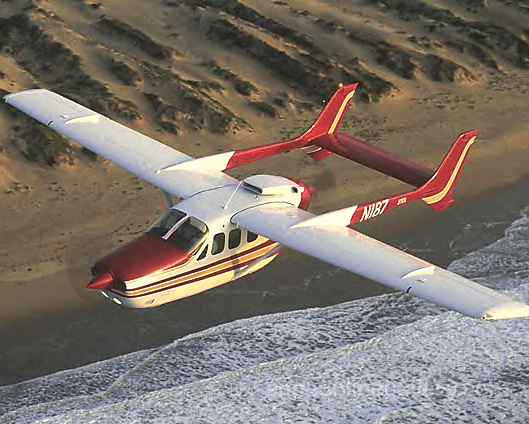 Cessna has undertaken a program to develop and publish Supplemental Inspection Documents to keep Skymasters flying safely well into this century. Considerable information on this subject -- along with controversy -- may be found in the Skymaster Owners and Pilots Association (SOAPA) Message Board by clicking here. From 2002 to 2011 SOAPA held 10 consecutive Annual Metings and Fly-ins -- some in beautiful locations like the Bahamas and Key West -- that were well attended. Since then, similar smaller meetings have been held. We chronicle here the 2002 - 2011 meetings. The last such meeting was held June 3 -5 in Dayton, Ohio. More details may be found here. The 2010 Meeting and Fly-in was held April 12 - 14 along with the Sun 'N Fun Festival for Pilots in Lakeland, Florida. The SOAPA activities started April 12 at New Smyrna Beach before flying on to Lakeland the next day. More details may be found here. The 2009 Annual Meeting and Fly-In was held May 6 - 8 in Branson, MO. Reports from that meeting may be found here. The 2008 Annual Meeting and Fly-In was held in Kalamazoo, MI, on June 11-14 and reports may be found here. Last year's meeting was the 9th consecutive such meeting. The 2007 Annual Meeting and Fly-In was held on May 16-18 in Lucaya, Grand Bahama Island. It was preceded by optional stops in Daytona Beach and a Bahamian out-island on May 14 and 15, respectively. Participants reported that it was great fun. Pictures of the event may be seen halfway down this page of messages. That event followed the successful meeting of 2006 in Las Vegas and the fabulous 2005 meeting in Key West, which included a side-trip to the Bahamas and a night on the town in Miami. A report of that meeting may be found near the bottom of this page of messages and on the following page. These meestings of Skymaster owners have been held every year since the 2002 meeting held in Treasure Cay, Bahamas. February 2006 marks the 10th anniversary of the two Skymasters shot down by Cuban Migs over international waters. A professional documentary of the incident, which premiered on February 24, 2006, has a vivid recreation of the attack. A video trailer, with shots of Skymasters flying over water, may be viewed by clicking here. 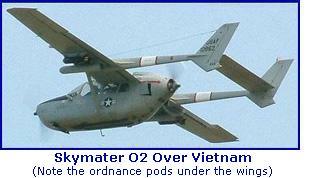 SkymasterUS.com1 is for owners and operators of Cessna Skymaster aircraft (models 336, 337, and O-2). It serves as a back-up to SOAPA's www.337skymaster.org, a site considerably larger than this one with significant resources, including lots of pictures of Skymasters and a lively Message Board where owners and pilots discuss a myriad of Skymaster issues. Please keep this site bookmarked in your computer; if SOAPA's site goes down we'll post information here to keep us in contact until SOAPA's site comes back up. Here you will find Skymaster material not found in SOAPA's website, including a page on managing fuel on Skymasters and a parts-buying page with money-saving ideas and a list of suppliers. There are also links to other Skymaster information on the Internet. This website is provided pro bono by Ernie Martin2. Your use of the material provided here and in the links is subject to the Disclaimer and Release3 below. 1. US in the website name stands for whatever you like. Maybe "United States" (where the website is based), maybe "us" (since it's run by owners and operators) or maybe "Unofficial Site" (since we're not endorsed by Cessna). This website is not affiliated with SOAPA and any announcement of SOAPA activities is provided solely as a courtesy for the benefit of readers. 2. Ernie Martin, a mechanical/aerospace engineer with a Master's degree from Caltech, spent nearly 20 years in satellite communications, 10 years in the jet engine business (involved with used and overhauled aviation parts) and has also consulted for various companies, including GE (see R�sum� for more details). Based in Miami, he frequently flies his '73 337G over Caribbean waters. He has flown his previous Skymaster (a '69 Cessna 337D) on search-and-rescue (SAR) missions over the Florida Straits, and on a round-trip from Miami to Boise, ID. He may be reached at . 3. Disclaimer and Release: The author believes that the information presented here is generally accurate, but it is provided without any warranty. The information is presented for reference only, should not be relied upon, and should be used only to augment other information obtained from official/reliable/credible sources. If some of this information conflicts with that obtained from other sources, ignore this information. Finally, you use this information solely at your risk and, by using it, you agree to release the author from any liability.